BY Marissa Cooper, July 15, 2016-2:00 p.m.
Denver- July 2016. 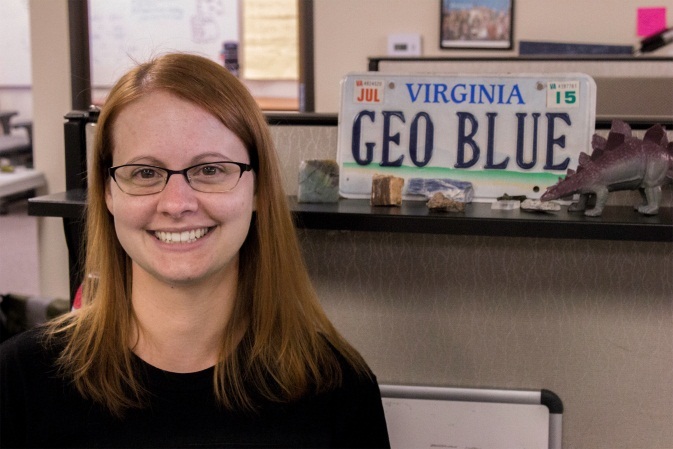 Christina Blue, PhD in Geosciences, joined the eScience product development team. She earned her doctorate in Geosciences from Virginia Polytechnic Institute and State University in Blacksburg, VA.
Blue's professional background includes serving as a geologist for BP America in Houston, TX, and as a geoscience intern for Cabot Oil & Gas Corporation in Charleston, WV. We are very fortunate to have Christina join our product development group, said Scott Higgins, chairman and CEO of eScience Labs.Her experience as a geologist, educator, and writer makes her a valuable asset as we nurture and expand our product line. Blue is a published researcher, and has addressed numerous conference and peer groups. She earned her undergraduate degree in Geology from George Mason University in Fairfax, VA. She will office at the company's world headquarters in Sheridan, Colo.
About eScience Labs: eScience Labs is a privately held company located in Sheridan, Colo., founded in 2007 with the mission to provide online and blended learners with the opportunity to engage in hands-on science exploration outside the traditional on-campus laboratory experience. Today, eScience Labs partners with more than 350 higher education institutions to offer 18 science course subjects and 400 labs.